Holland and Barrett have just introduced a green tea fat burner to their all ready impressive line up of slimming products. 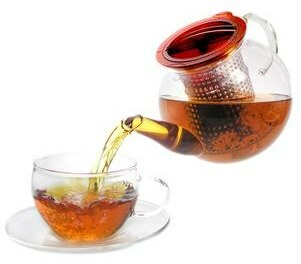 The product is called Cho Yung – a slimming tea based on an ancient chinese herbal formula. Cho Yung is not a new product, it has been in circulation for a a couple of years. Cho-Yung is the original Chinese green tea recipe that contains leaves of the Camilla Sinensis tea bush, Oolong tea, Lotus leaf, Hawthorn, Alisma Rhizome, Cassia seeds, Jiaogulan and Poria. 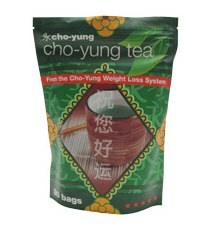 The creators of Cho Yung Tea are keen to point out that their tea is not just beneficial to slimming. It can be used as an all round natural medicinal product. Boosting metabolism and helpt to get rid of excess calories. Helping various internal organs disorders, lowering the risk of various types of diseases and ailments. Cho Yung is certainly worth trying but its main fault is the price. Cho Yung is available to buy from Holland and Barrets online store priced at £39.99 for 30 bags. Recently a new green tea slimming product has been introduced to the UK – this has somewhat overshadowed Cho Yung and lessened its appeal. 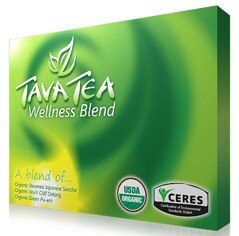 Tava Tea is cheaper and combines three of the most effective and beneficial green tea’s on earth. Tava Tea has recently appeared in the press – with the Sunday Express featuring the brand on the front page of the tabloid.